How does it make you feel when you walk into a business and you are greeted by name? Does it make you feel like you matter to that business when you are barely through the door and being told that your order is ready? 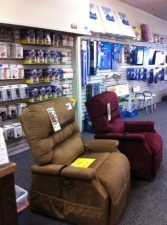 These are just a couple of the things that the customers experience when visiting either location of Hospital Pharmacy. Every day, businesses are battling with countless other entities for their customers’ attention, and oftentimes service becomes the deciding factor. 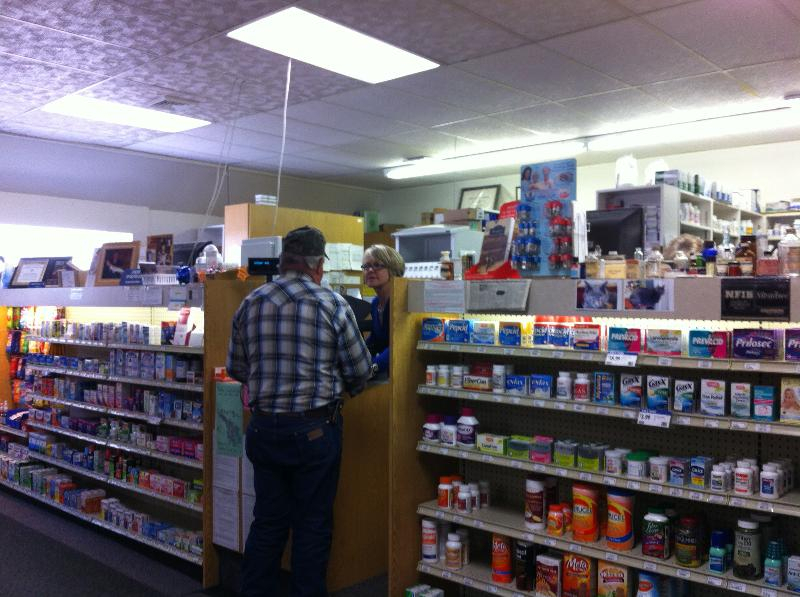 As the only independently owned and operated pharmacy in Sheridan, Hospital Pharmacy has raised customer service to an art. Since 1978, when Joe and Rene Meyer became the owners of Hospital Pharmacy, they have built their reputation and business with strong customer service as the backbone. Whether you need your prescriptions or medical supplies delivered or you just need help transferring your insurance, the staff at Hospital Pharmacy is always more than willing to oblige and with a smile on their face. As the health care climate continues to change and become more challenging, Hospital Pharmacy has continued its long-standing history of service to its customers. 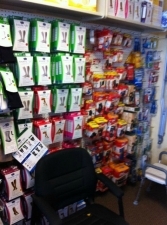 Joe, Rene and their staff continue to work hard to meet the needs of their customers. For some of us it is really not an inconvenience or struggle to remember to have our prescriptions refilled or even stop in and pick them up. But for many others, these tasks can be VERY difficult and, if not done, can be life threatening. If a customer needs help filling prescriptions or needs guidance on what to take and when, Hospital Pharmacy can and will help. For little to no charge the staff will set up weekly medication packs or trays with each dosage labeled as to when it should be taken. This service can help a person reduce the risk of a potential drug interaction, lower the chance of a missed dose and potentially reduce over dosing. Hospital Pharmacy also has a delivery service. For a small fee you can have your prescriptions or other medical supplies delivered right to your door. While these services may seem minor to some, to those that need them they can be the difference between life and death. Joe and Renee Meyer (Joe pictured left) have been involved with Hospital Pharmacy since 1978 and have been the sole owners since 1982. They moved to Sheridan about a year after they graduated from college and have been here ever since. 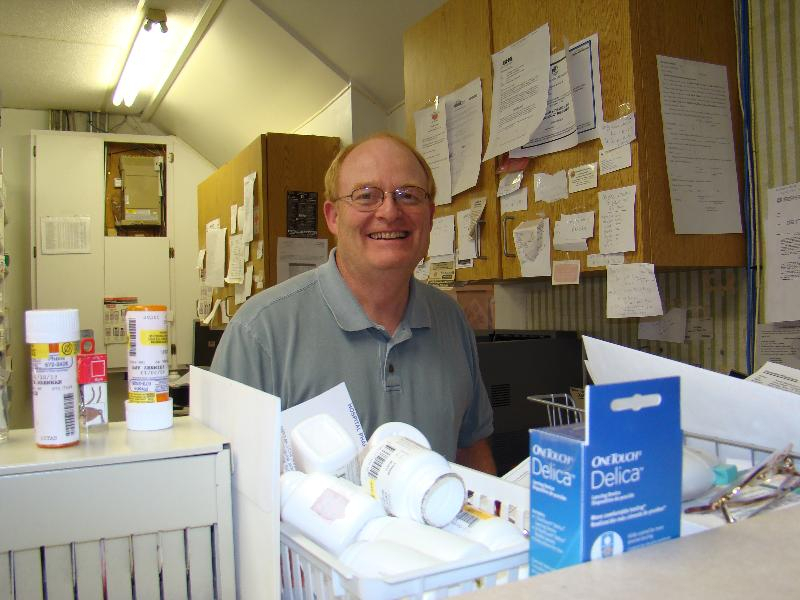 When the Meyers started with Hospital Pharmacy, there was only one chain pharmacy in town; the rest were all independently owned and operated. As a comparison and credit to the Meyer family, Hospital Pharmacy is currently the ONLY independently owned and operated pharmacy left. Hospital Pharmacy is a family-owned business through and through. Joe and Renee raised their two sons, Matt and Chris, here and they are still living here with their families. Matt and Chris grew up around the pharmacy and with both parents being pharmacists; it is understandable how both of them became pharmacists and now have their wives involved with the family business. 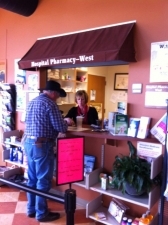 Matt is at Hospital Pharmacy West and runs it with the help of his wife, Mandolyn. Chris helps run the downtown location and his wife Tonja does the bookkeeping. Hospital Pharmacy’s location on South Main was the site of the of Sheridan’s very first general store, opened in 1883 by J.H. Conrad. The mural that you see above the green awning was painted in 1959 by Bernard Thomas and went through a historic restoration in 2004. This is also the only “false front” building that remains on Main Street. Recently Hospital Pharmacy has received their accreditation in Dr. Comfort diabetic and therapeutic footwear and compression wear (pictured right). 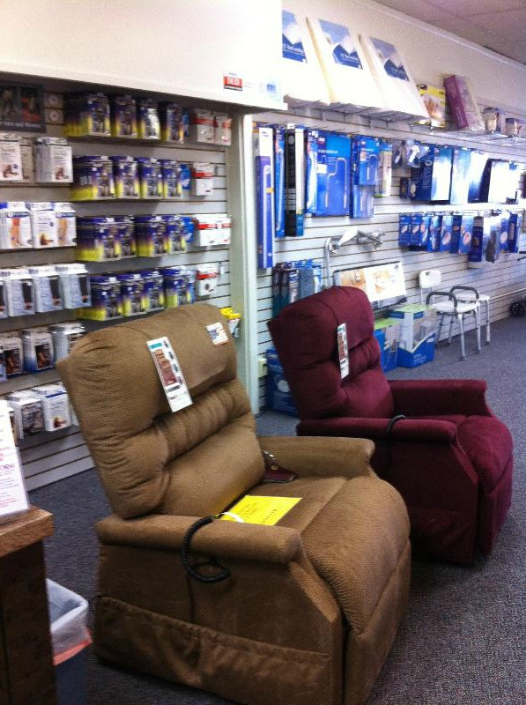 They offer comprehensive foot evaluations and fittings that are used to provide customers with custom shoes and inserts. 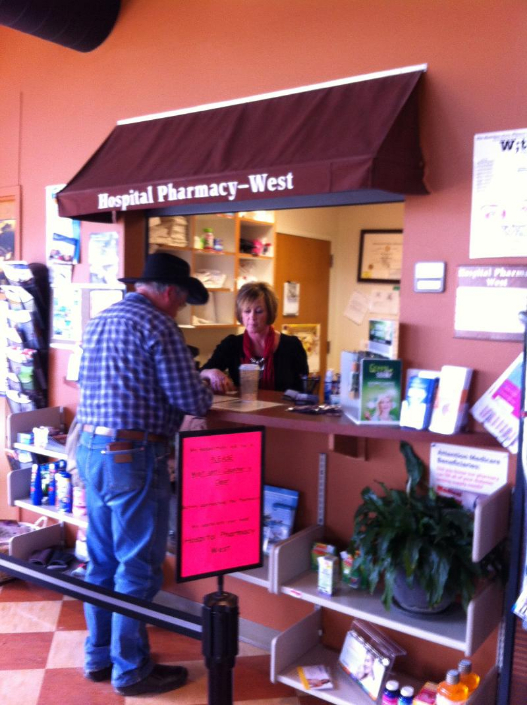 Hospital Pharmacy West has a website that allows customers to refill prescriptions online, which can then be picked up or delivered. Earlier Joe Meyer was quoted as saying “the people of Sheridan have been very good to us.” Well, it seems that Hospital Pharmacy and its staff have been very good to Sheridan.